Your kitty goes wild for pate, so give him the nutrition he craves with the Nutro Perfect Portions Grain-Free Turkey Recipe Cat Food Trays. 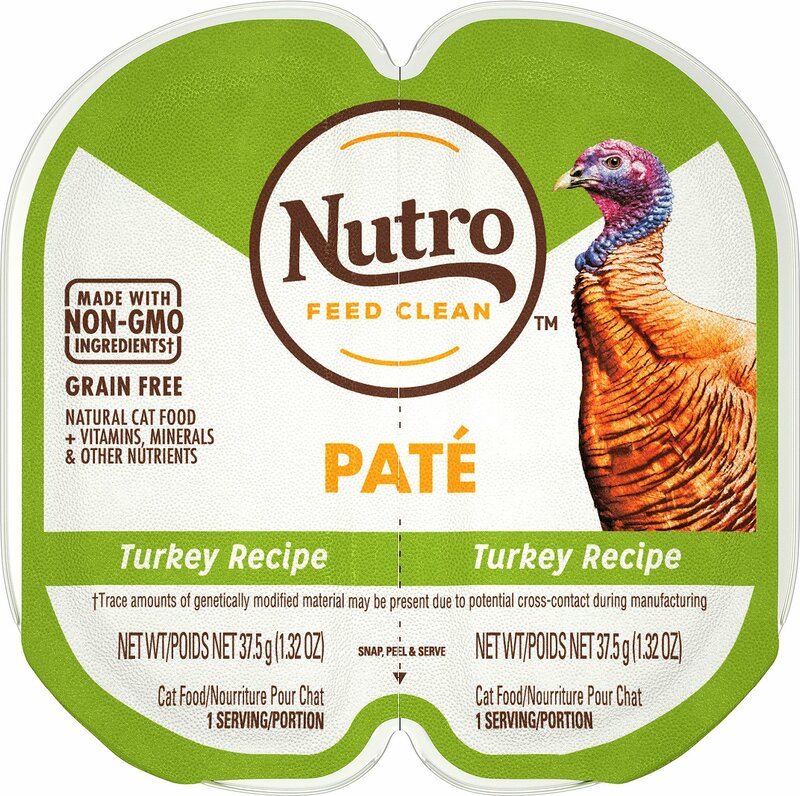 Featuring real turkey as the first ingredient in a whisker-licking juicy pate, it provides perfectly-portioned protein for healthy muscles and delicious flavor for a satisfied tummy. Every bite is also packed with all the nutrients your pal needs to look and feel his best every day, like vitamins, minerals and essential taurine. Plus, it also provides plenty of moisture to help keep him hydrated and healthy from nose to tail! And with no grains, fillers or anything artificial, even sensitive kitties can enjoy. 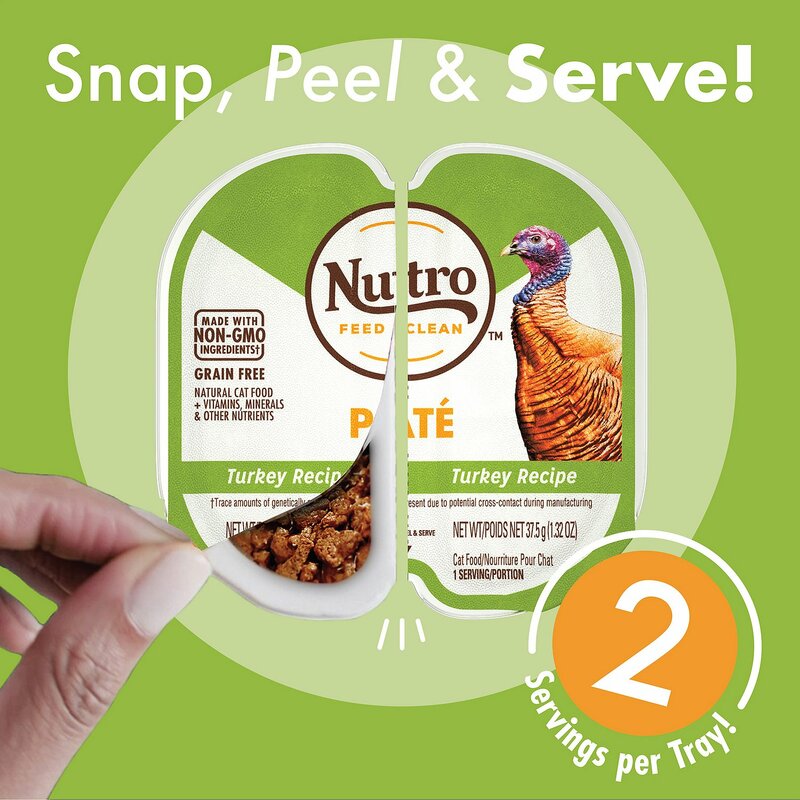 Adult wet food trays feature real turkey as the first ingredient for the protein needed to support healthy, lean muscles. 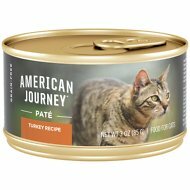 Soft pate with smooth texture is perfectly lap-able and easy for cats to eat, with just enough juice to keep him licking his whiskers. 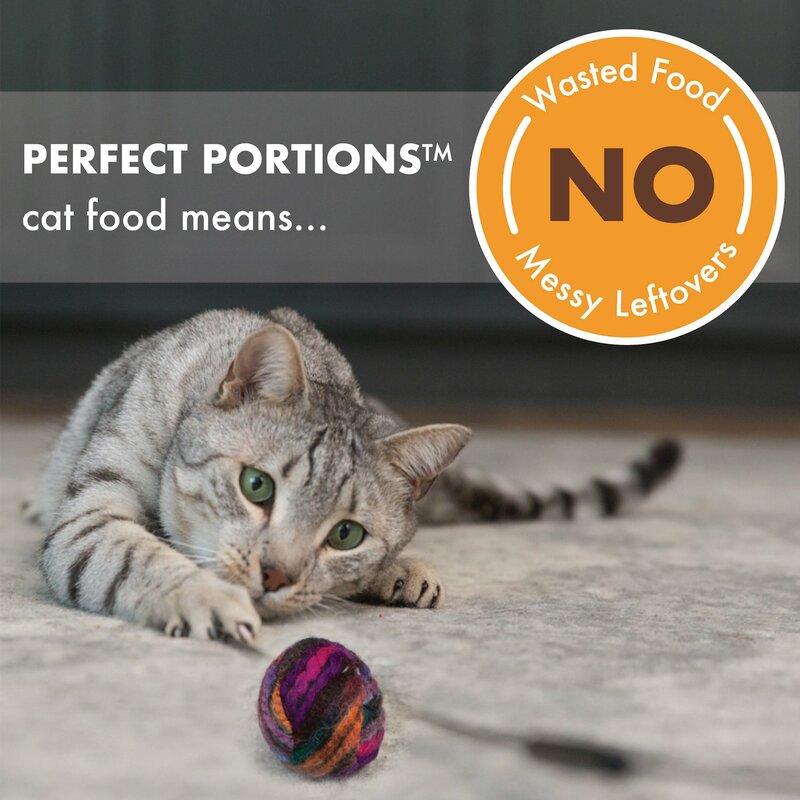 Zero grains, corn, gluten meal, chicken by-product meals, wheat or soy protein so it’s also great for cats with sensitivities or food allergies. Fortified with vitamins, minerals, essential taurine, and moisture in every bite to support hydration and overall health. 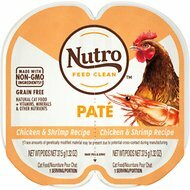 Made in USA Nutro facilities with no artificial flavors, colors or preservatives, and comes in single-portion trays to make mealtime effortless. 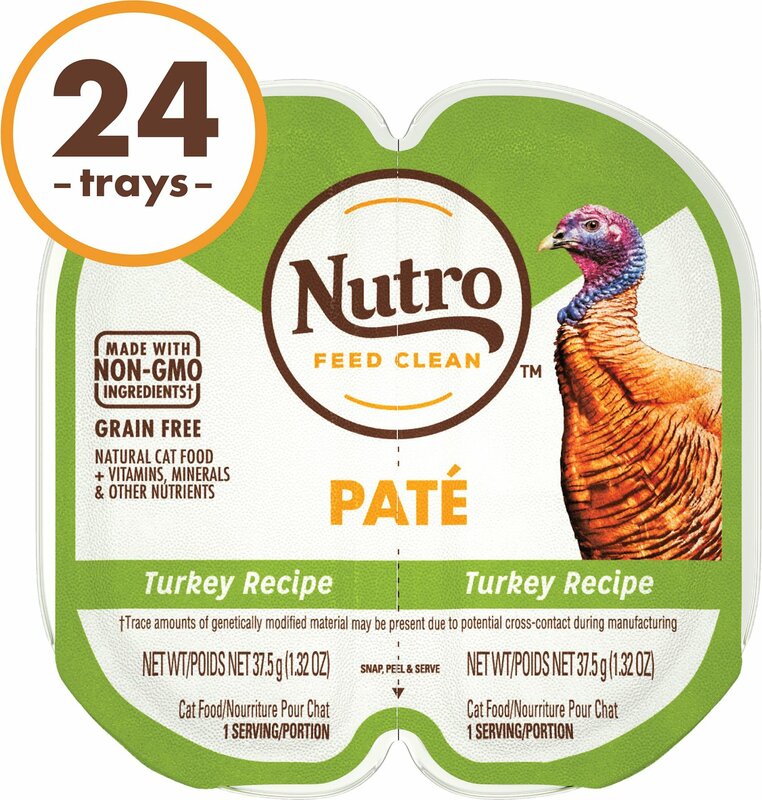 Turkey, Turkey Broth, Chicken Liver, Pork Broth, Natural Flavors, Guar Gum, Minerals (Potassium Chloride, Magnesium Sulfate, Zinc Sulfate, Iron Sulfate, Manganese Sulfate, Potassium Iodide, Copper Sulfate), Sodium Phosphate, Fish Oil (Preserved with Mixed Tocopherols), Vitamins (Choline Chloride, Thiamine Mononitrate [Vitamin B1], Vitamin E Supplement, Pyridoxine Hydrochloride [Vitamin B6], Vitamin D3 Supplement, Folic Acid, Menadione Sodium Bisulfite Complex [Source of Vitamin K Activity]), Salt, Taurine. Feed 4 servings daily per 8 lb Adult cat. If switching to this recipe or feeding NUTRO™ Cat Food for the first time, we suggest you blend increasing amounts of the new recipe with your old food for 6 days. NUTRO brand focuses on the overall well-being of your pet by providing great-tasting, nutritious cat foods, using quality ingredients from trusted farmers and suppliers to keep your cat healthy and happy. 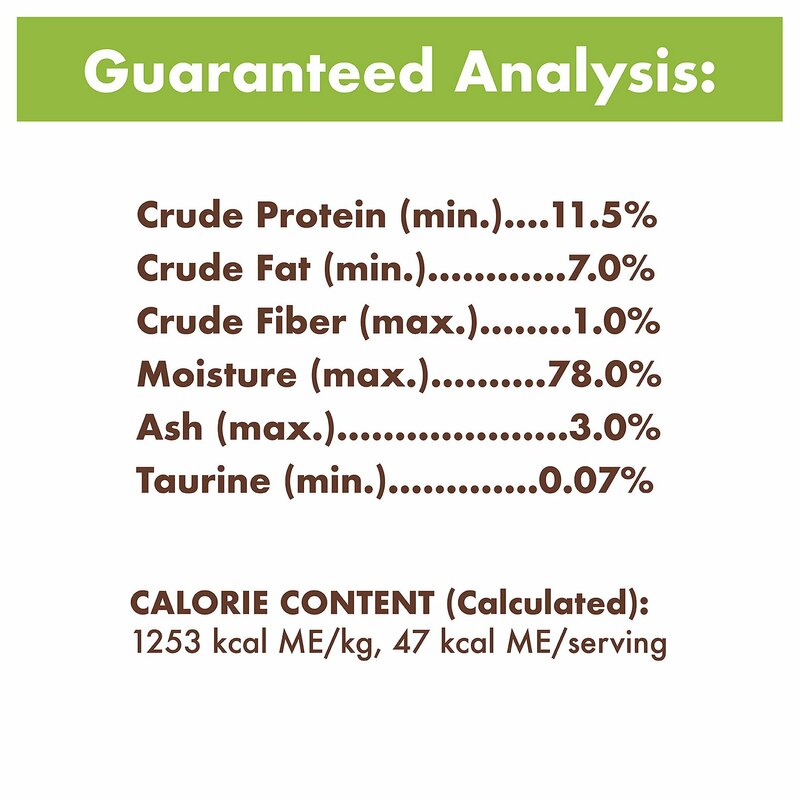 NUTRO Grain Free cat recipes are made by following high safety standards with rigorous testing that's done to ensure their quality. So, when it's time to feed your cat, you can feel confident that your kitty is devouring a tasty meal that's equally as beneficial. NUTRO's Grain Free dry cat foods help promote a healthy heart, support a strong immune system and contain natural fiber for healthy digestion. 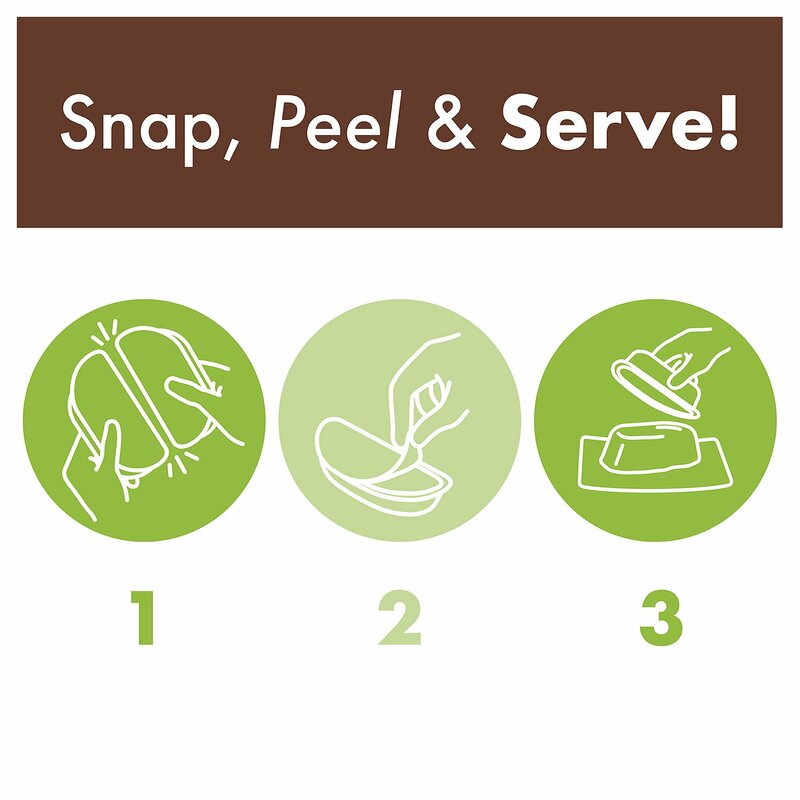 These recipes are also rich in omega-6 fatty acids that support healthy skin and a soft, shiny coat. 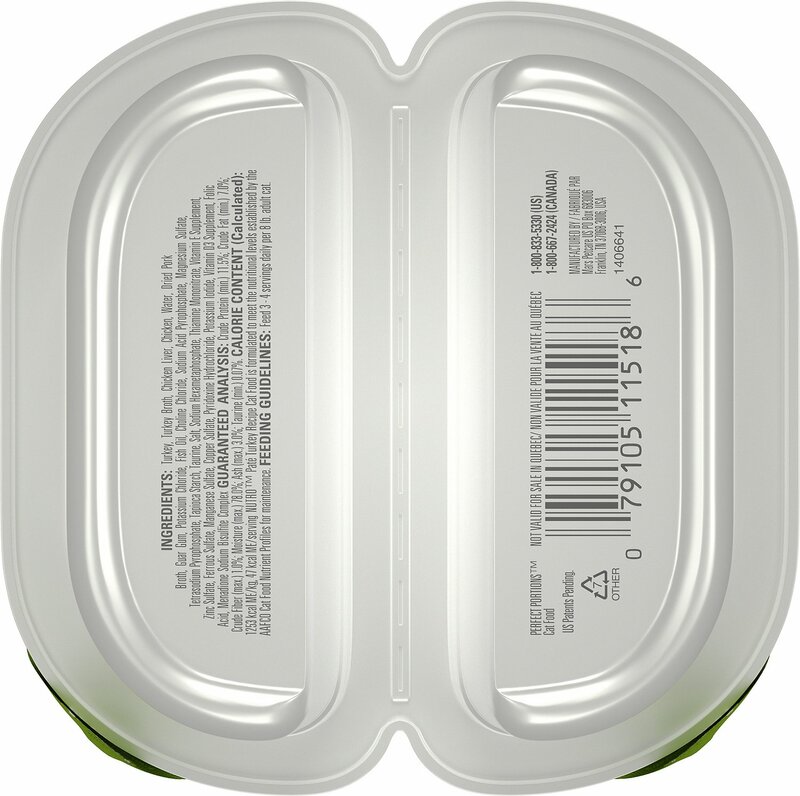 Plus, these formulas are made with non-GMO ingredients† and crafted without grains or glutens. Both cat's have turned up they're noses at this. Who knows why they're cat's. Maybe it's the turkey. It seamed like they liked the salmon and chicken. My cat will only eat this brand of wet cat food and only the turkey flavored one. Nutro Perfect Portions, CAT YUMMY! Love the portion sizes, just perfect for my cat. And user friendly for when my husband has to feed her. This flavor though wasn't her favorite, she prefers tuna and salmon. My cat loves this product but getting it open can be difficult. I can see where an older person with arthritis would have a lot of trouble. Would prefer this more if it came in a can. Perfect for my diabetic cat. Love the portion size and he enjoys the flavor. Quality food for my Blooper...As far as Chewy is to deal with... absolutely wonderful. Super fast service..